i recently made a major discovery: the clover pom pom maker. it changed my life... craft-wise that is. this clever gizmo seriously cuts down the time and hassle to make a pom pom. so now, when i crochet a scarf (see second pic), i can quickly use up all my remnants to make a pom pom scarf as well (see first pic). the clover is available is different sizes, and there's even a heart shaped one too! 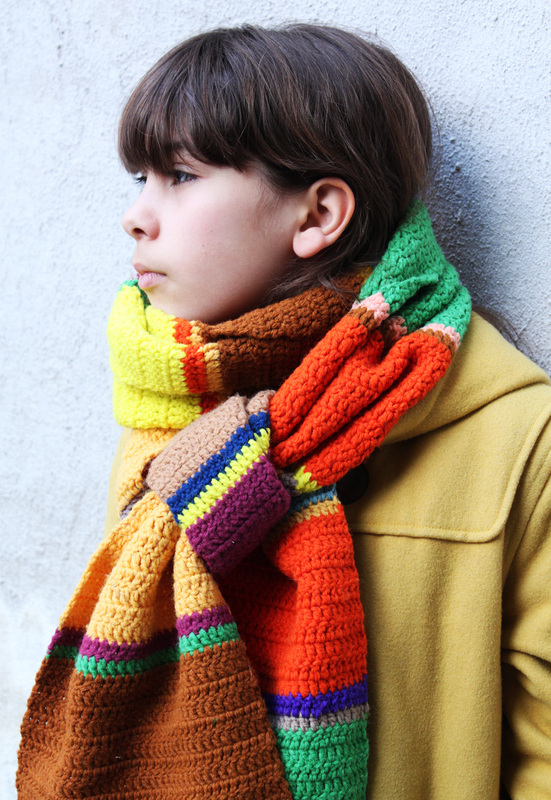 I aboslutely love the scarf! How did you make the pompom scarf? I was wondering the same thing? Do you have any instructions? 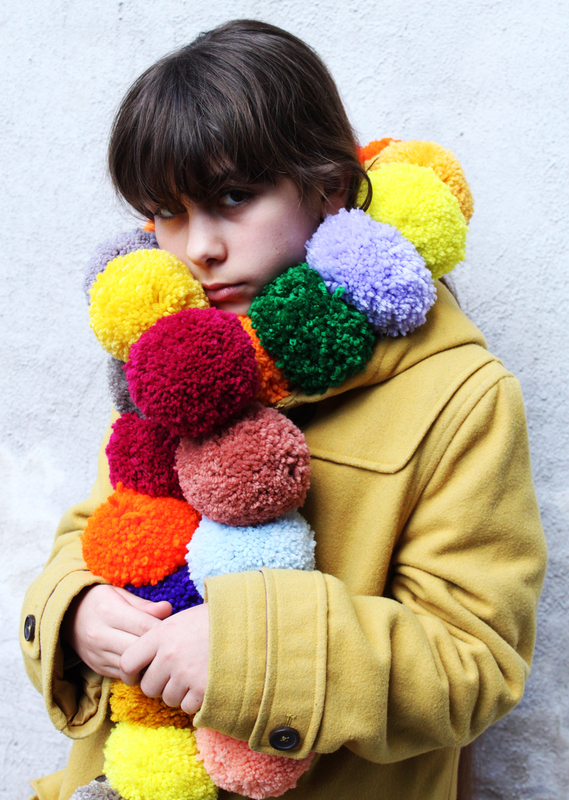 Maybe you tie 2 prices of wool round and have the tassels opposite then open the maker and tie all pom poms together? Or thread wool through the middle of each pom pom? Why does the model look so sad? A how to would be nice... I'm gonna play with this idea and see what I get. Maybe this isnt at difficult as it looks.